This banana and peanut butter milkshake is really thick and filling. 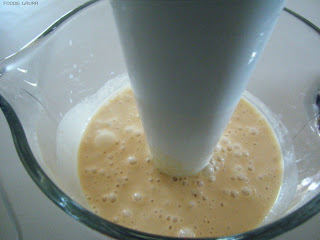 It's rich and creamy, great for a lovely mid afternoon treat pour the milkshake over ice and enjoy it a sunny garden. It's super quick to prepare with a hand blender. I always clean off the blender by whizzing it in soapy water before I drink the milkshake then I don't have any irritating clean up to come back to afterwards. My electric hand blender is great for quickly blending shakes, batters and soups but you have to clean it right away because once the food dried on the blades it's a chore to clean them off properly. 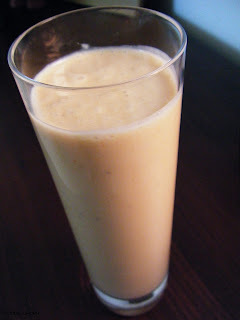 This banana and peanut butter milkshake recipe is so simple it barely counts as a recipe, just bung it all in a jug and mix it up with an electric hand blender. 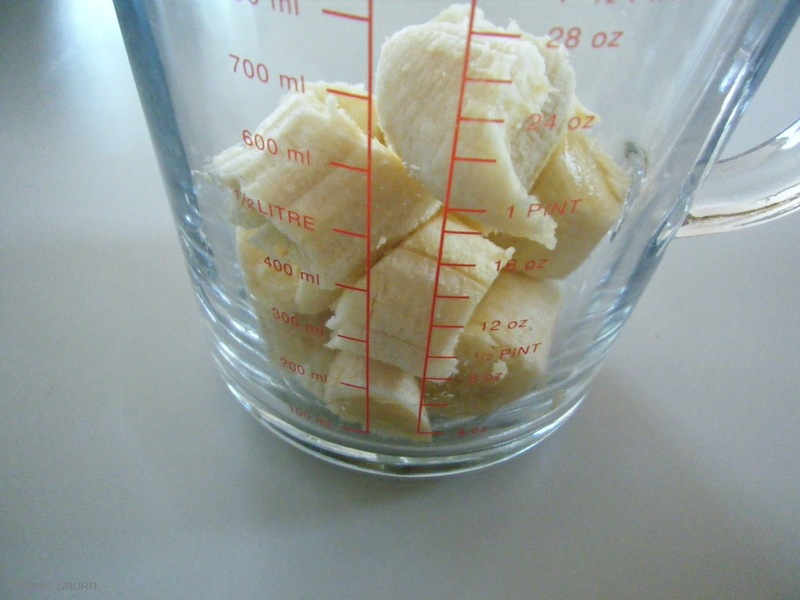 Peel the bananas and roughly break them into pieces and place them into a measuring jug. 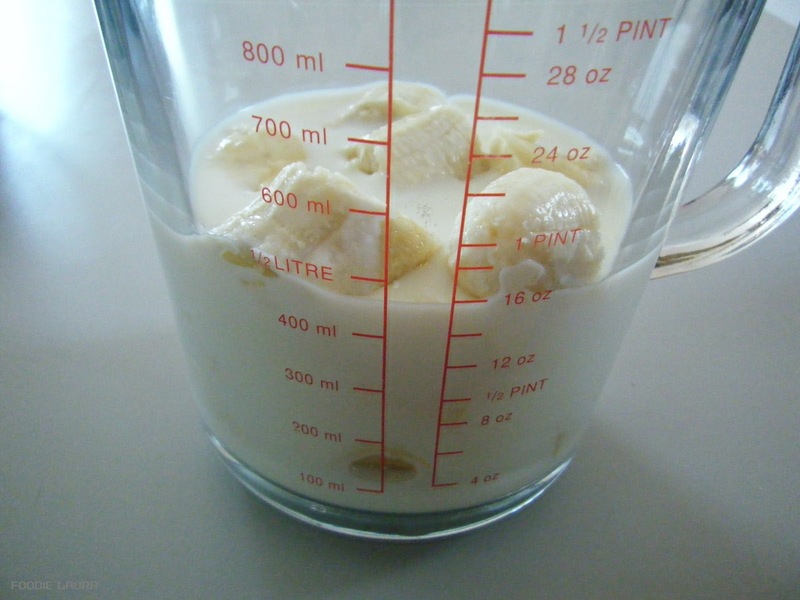 Cover the bananas with milk. 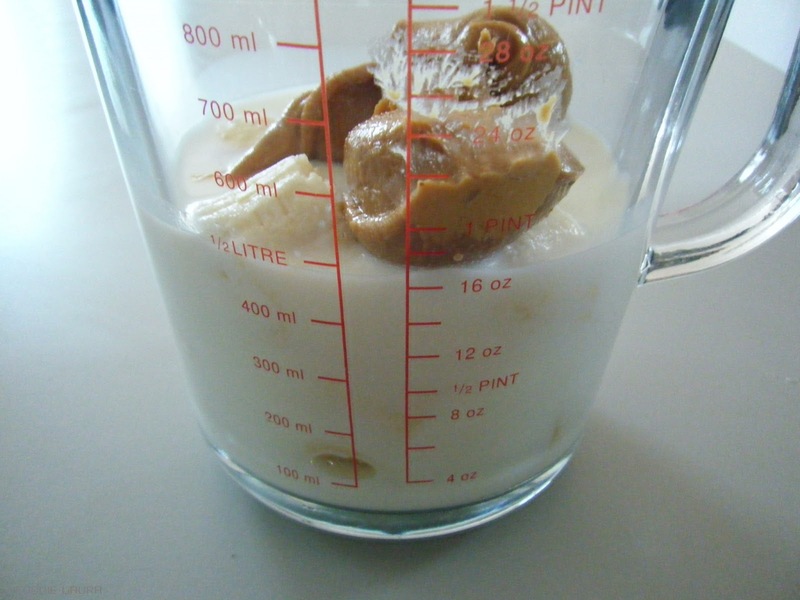 Mix with a hand blender until the bananas are turned into pulp and combined with the milk and peanut butter to form a thick creamy liquid. Serve over ice and drink immediately. I hope you get the chance to enjoy this in the wonderful sunshine that we have been having.